Bombshell baseball Batwoman! Kate Kane steps up to the plate in the DC Comics Bombshells line and totally knocks it out of the park! 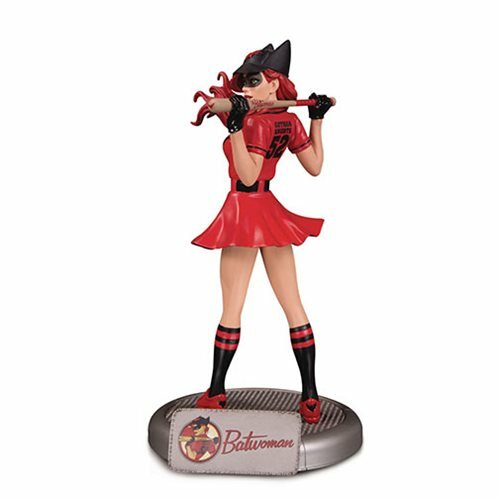 This DC Comics Bombshells Batwoman Statue features Kate Kane in her 1940s-era women's red road variant baseball uniform. She is dressed in her black and red baseball Gotham Knights uniform atop her name display base. Limited edition of 5,000 pieces. Measures approximately 10 1/2-inches tall. Ages 14 and up.